Managed IT Services are known throughout the industry as IT Service Management (ITSM). Our team of experts have over 15 years of professional experience, ensuring that whatever the task is, it is completed properly and efficiently. Our managed IT services team is a professional services division that specializing in full service IT support and systems management for businesses. 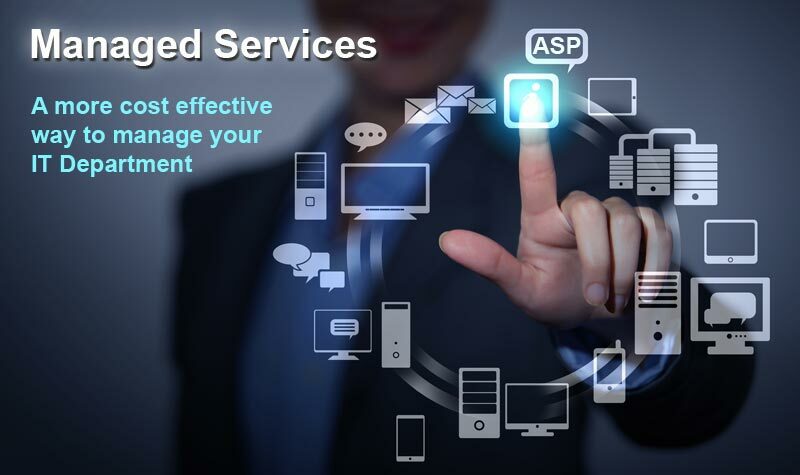 The managed IT services team is highly qualified specialists, in partnership with industry leaders, who strive to create the best solution packages for businesses. Novalera realizes that not all complications a business may face can be resolved over the phone or through website help. While some IT companies utilize e-mail and Instant Message based solutions, these can be both time-consuming and tedious. Novalera provides our clients with On-Site Support to ensure we provide timely and efficient solutions are provided. Time lost is money lost and here, at Novalera, the continued success of our clients is what inspires us to do our best to serve your IT needs. E-mail configuration issues, software installation complications, and antivirus and security upkeep are just some of the more common problems a business will face. Novalera's managed IT services offer Remote Support to provide immediate, real-time solutions to these problems and more. Our technicians will be able to remotely view and adjust your e-mail configuration settings, oversee the successful installation of software, and monitor your antivirus and security settings to make sure your system is running its best. By utilizing Remote Support you can set your mind at ease with our managed IT services immediate results on the progress of your resolution. Novalera understands that a successful business must rely on the latest and greatest of technologies. More and more companies are working to provide mobile and cloud-based solutions to create a presence in the mobile market. Novalera recognizes this trend and strives to remain informed on the latest technologies to provide its clients with the most beneficial and efficient Mobile and Cloud Services. Keeping your business mobile allows for greater coverage for marketing and spreading brand awareness while cloud-based services create a larger array of tools and benefits your business can utilize. Communication is key in the business world and maintaining that communication, whether it's from computer to computer or site to site, is vital to the continued success for any business. Novalera provides Small Business Networking solutions so you and your staff stay informed and have all the tools they need to succeed. By networking your business, the process of sharing information is no longer stressful but simplified and productivity increases. The idea of a system or site going down is unsettling for any business. If the site is down then a service cannot be offered and if a service cannot be offered then the business loses money. Novalera strives to keep your business successful and safe by providing System and Site Monitoring services. Put your mind at ease as our technicians run a variety of comprehensive remote tests and checks to ensure that your system and site are running smoothly.